Dental pain and infection are some of the most common ailments our pets experience, and can result in chronic pain, decreased appetite, and increased stress on the rest of the body. Since the only way to diagnose or treat disease under the gum line is with anesthesia, we anesthetize all of our patients needing dental treatments. We take anesthesia very seriously. Anesthesia is a modern miracle, but it is not without its risks. 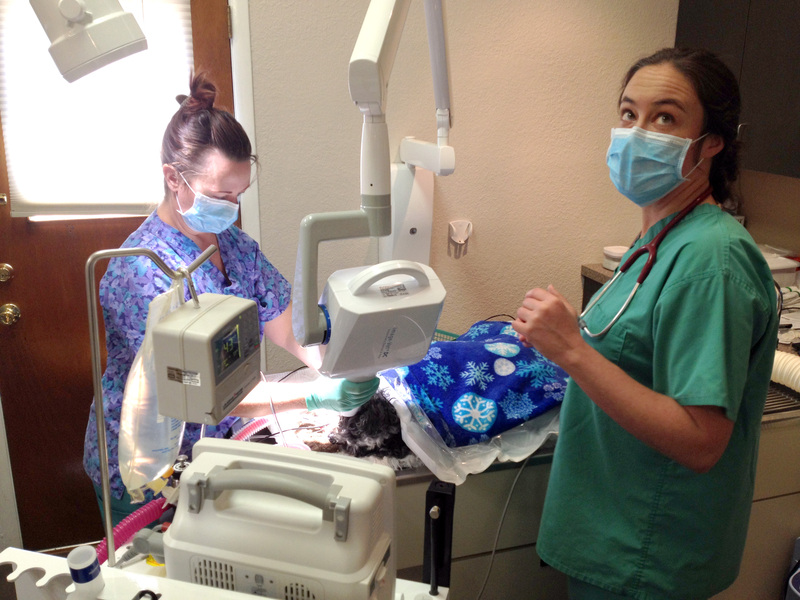 All dental procedures at our facility include pre-anesthetic blood work, IV fluids during the procedure, and careful anesthetic monitoring by a veterinary nurse. Anesthesia can also be frightening, so we do all we can to keep your pet comfortable. Cats are housed separately from dogs, and combinations of calming music, essential oils, and lots of knowledgeable TLC are used to keep them all calm. Every pet has unique needs, so we also customize our pre- and post-anesthetic protocols to find what works best for every animal.